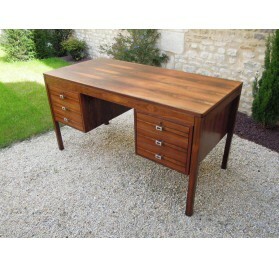 Desks There are 4 products. 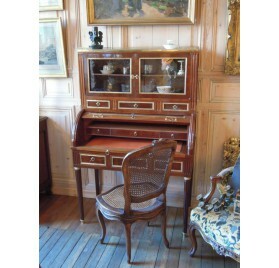 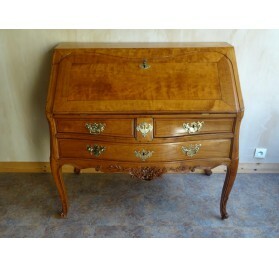 Very pretty writing desk, made of wavy cherry, with curved facade.It opens with three drawers and a flap.Neat work of Louis XV period. 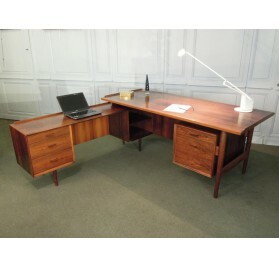 Beautiful desk in rosewood, veneer neat and quality.2 drawers boxes (3 small drawers and 1 folder, interchangeable).Scandinavian work of the late 60s or early 70s.